This was not a good series for defense and goaltending. The 9th-seeded ’19-’20 Ottawa Senators scored 22 goals in the six games, but the the 24th-seeded ’99-’00 Florida Panthers scored just four more times as they win in six games. Cy Denneny led the Sens in scoring with six goals, but all of those came in two hat tricks during the series. Frank Nighbor and Jack Darragh were tied for second with four goals apiece. Nighbor was a dynamic playmaker in this series and that is where he shined the most in this series. He posted a series-high 14 assists while Darragh finished second behind him with half that (7, duh). Naturally, Nighbor led Ottawa in overall scoring with 18 points in the series and Darragh was second with 11. Only two skaters for Ottawa failed to register a point for them in the series. Of course, they have a much smaller roster than every other team in the tourney. Defensemen Georges Boucher and Sprague Cleghorn both posted a +1 plus/minus rating to tie for the team lead as they were the only players to finish above even. Jack MacKell was then the only player to finish with an even plus/minus rating. Goaltender Clint Benedict faced about 37 shots per game and finished with a 4.17 goals against average and a .888 save percentage. Pavel Bure was the overtime hero in Game 6 to send Florida to the Third Round. He also led them in scoring with seven goals while Scott Mellanby was second behind him with five goals. Defenseman Bret Hedican was the Panthers’ unlikely leader in assists in the series with seven while there were three players right behind him with six assists, Mike Sillinger, Ray Whitney and defenseman Robert Svehla. 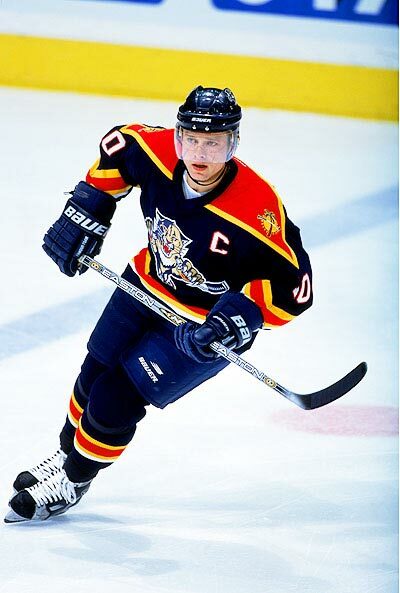 Bure also co-led the Panthers in overall scoring with ten total points with fellow Russian, Viktor Kozlov. Ray Whitney, the final member of the Panthers’ top line with Bure and Kozlov, finished second in points during with the series with nine. There was a four-way tie for the team lead in plus/minus at +7 between Bure, Kozlov, Svehla and Whitney. Hedican was a close second at +5. Mike Vernon had a better series than his counterpart in net, but still wasn’t all that spectacular. He finished with a 3.67 goals against average and a .914 save percentage in the six games. The ’99-’00 Panthers continue a successful UNP debut after doing what last year’s representative could not do, which is advance to the Third Round. Last year, the Panthers representative got swept by a team that made it to the Quarterfinal in the Second Round after advancing from the First Round. The original Ottawa Senators franchise is now 0-for-2 in the UNP as they have had a First Round Bye in both tournaments only to lose in the Second Round. Next up in the Third Round, the ’99-’00 Florida Panthers will play either the 8th-seeded ’81-’82 New York Islanders or the 25th-seeded ’83-’84 Washington Capitals! Up next in the Second Round are the 14th-seeded ’34-’35 Montreal Maroons and the 19th-seeded ’10-’11 Carolina Hurricanes! This entry was posted in 2nd Round, Ultimate NHL Playoff and tagged Bret Hedican, Clint Benedict, Cy Denneny, Florida Panthers, Frank Nighbor, Georges Boucher, Jack Darragh, Jack MacKell, Mike Sillinger, Mike Vernon, Ottawa Senators, Pavel Bure, Ray Whitney, Robert Svehla, Scott Mellanby, Second Round, Sprague Cleghorn, Ultimate NHL Playoff, Viktor Kozlov. Bookmark the permalink.